With the summer season fast approaching, families nationwide are planning vacations and road trips galore. Traveling with kids is a challenge, especially if you have toddlers in tow. There is nothing worse than listening to the endless "are we there yet?" droning, but you can be armed and ready with awesome toys to keep kids busy in the car. Rule No. 1: Little is king on the road. Choose toys that are little and light with very few pieces to loose. Look for toys that easily fit into your "mom" bag or kids' backpacks. 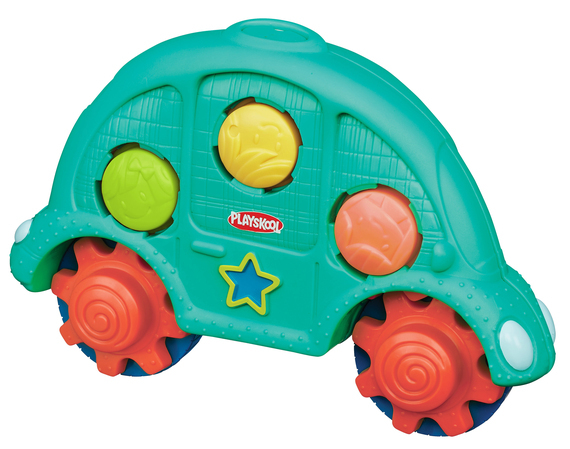 Playskool has a new line of stow-and-go toys for toddlers that are compact and feature multiple ways to play and store easily. The Roll 'n Gears Car lets kids push and wheel it around, or open it up to see all of the gears move, stack, and turn. Rule No. 2: Always have crayons. Always. 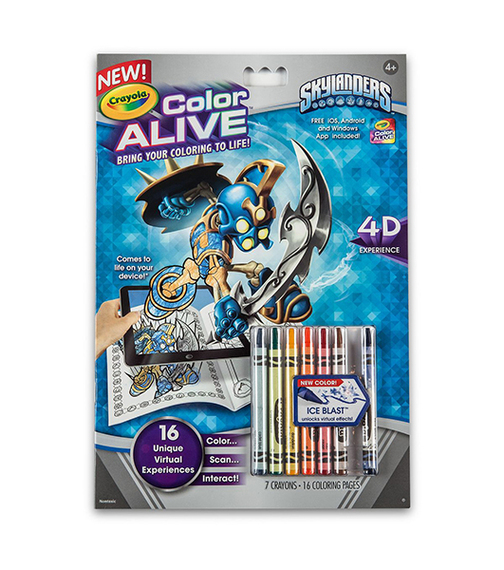 Crayola is my go-to, and this year, they have a new line called Color Alive that lets kids color the old fashioned way and then bring their creations to life with a digital app. Since most families already have a tablet, this adds a lot of engaging play to traditional coloring books. Rule No. 3: Just like you buy big toys with your kids' interests in mind, remember the same holds true for travel toys. 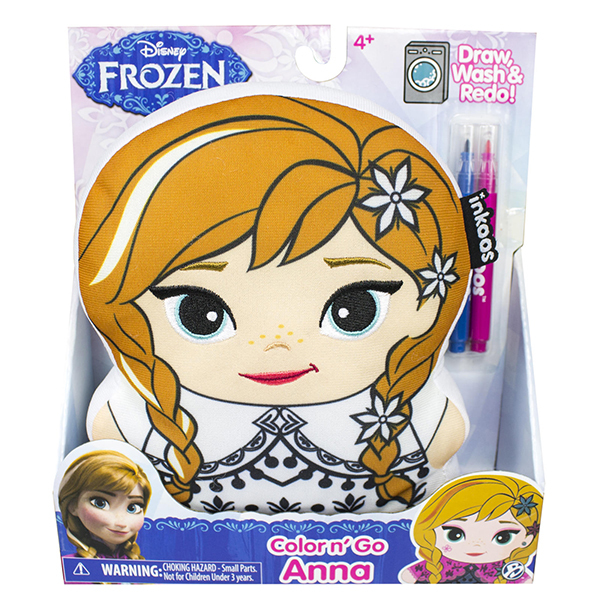 Pick up something small that features their favorite characters, such as the Bridge Direct's Color N Go Inkoos, which come in different Disney Princess characters, including Elsa and Anna from Frozen. Kids can color in the plush pals with markers for some creative fun, and then use them as travel pillows or companions. Rule No. 4: Two-in-One is better than one. Toys that perform double duty are always great, because they give kids multiple play experiences at the same time. 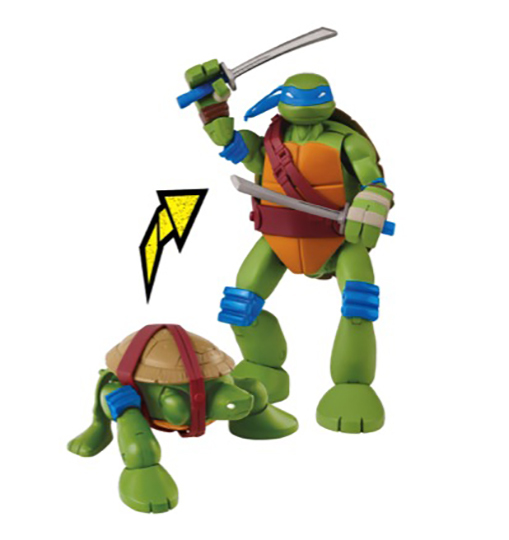 Playmates' Pet Turtle to Ninja Turtle action figures let kids transform them from cute baby turtles into the crime-fighting, pizza-loving heroes! These offer two different imaginative play experiences for the price of one. Rule No. 5: Don't spend a lot of money. No matter how many of the rules you follow or how careful you are, taking toys out of the house makes it easy for kids to lose or misplace them. Choose toys that have lots of play value, but a low price point. 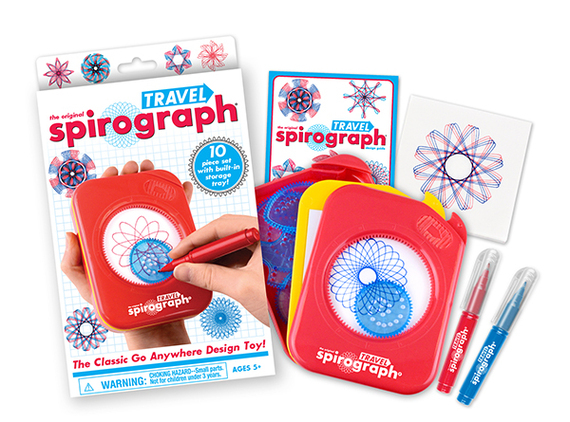 A great option is Travel Spirograph, from Kahootz. At just $9.99, this toy will have kids creating beautiful spiral designs for hours, with hundreds of different combinations and styles. Another great option are the Disney Princess Palace Pets Glitzy Glitter Friends. These 3.25-inch figures are just $7.99 a piece, and they offer kids tons of imaginative fun, while also letting them bring their "pets" on the road. And finally, the golden rule of the road: Make these toys a special play experience. Never bring these toys out when you are home, instead, save them for the road so that kids have something really exciting to look forward to before they get in the car. Do not deviate from this rule, or these toys will become boring fast. Saving them keeps them fresh and fun -- when my kids were young, I used to have a bag of toys that was just for travel. Trust me -- it works!